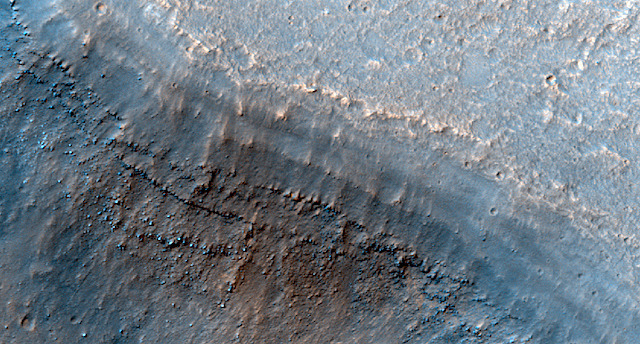 Layers in a collapse trough near Aromatum Chaos. Aromatum Chaos is a large depression, possibly formed due to a catastrophic flood event. This entry was posted in Reports and tagged Aromatum Chaos, Beautiful Mars, High Resolution Imaging Science Experiment, HiRISE, layered deposits, layers, Mars Reconnaissance Orbiter, MRO, NASA, troughs, University of Arizona. Bookmark the permalink.